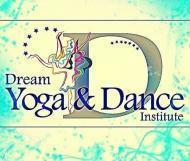 In the year 1995 Dream Yoga and Dance Institute was established in Kolkata. The founder of Dream yoga and dance institute is Mr Ashok Kumar Roy. Then few years later we opened a branch in Howrah(Shibpur),West Bengal. "This the place where you can enrich your dance skills and methodologies used for fitness is awesome. It's the best institute for Yoga Dance in Gurgaon. " "Loved the way they love and teach dance... dedication and proficiencies making DYDI Perfect. FAculty are really good. I strongly recommended.. "
Dream Yoga and Dance Institute conducts classes in Classical Dance Classes, Western Dance Classes and Yoga. It is located in Sector 7, Delhi. It takes Regular Classes- at the Institute. It has got 2 reviews till now with 100% positive feedback.